Having been named in Knowledge Magazine’s top 20 producers to watch out for in 2013 and with support from the likes of London Elektricity, S.P.Y, Camo & Krooked, BCee and many more, he’s moving up in the scene fast. The UK-based producer is rapidly becoming synonymous for his ability to add orchestral and cinematic elements to Drum & Bass on a grand scale whilst retaining a strong dancefloor impact. Keeno’s remixes are infamous in the scene. Most notably his remix of “Get Out” by Casey Abrams rose to No.1 in the Estonian and Lithuanian charts and is going down a storm on YouTube. And along with long-term collaborater Whiney, another young star, together they have been turning heads with their remix of S.P.Y’s iconic “By Your Side” – the remix had the whole scene begging for a release. Last December saw the release of his 6 track EP ‘Nocturne’ featuring vocals from Louisa Bass and co-producer Whiney. With BBC Radio 1 air time from the likes of Friction, B Traits and Mistajam the EP grabbed the attention of the scene at large. Featuring vocalist Louisa Bass and co-producer Whiney, both of whom appeared with Keeno on “No More” which dropped on Hospital Records “Sick Music” compilation album back in November 2012. Whiney also co-produced the popular “Isokime” with Keeno from "New Blood 013" earlier this year. 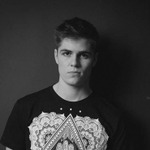 In May 2014, Keeno released his debut album ‘Life Cycle’, a stunning release containing 14 tracks demonstrating his ability to add orchestral and cinematic elements to Drum+Bass while retaining a strong dance floor impact. As a sign of it’s success, Keeno has been nominated for 3 awards at this year’s Drum & Bass Arena awards; “Best Newcomer DJ”, “Best Album” & “Best Newcomer Producer”. Keeno kicked off 2015 with yet another successful release on Med School, the "Preludes EP" containing four tracks of uncompromised elegance. Keeno’s mixing ability has also been getting him noticed; not only did he launch the new 60 Minutes of Med School Series on BBC Radio 1 and 1Xtra but has also been jet setting across Europe and Asia to play to his devoted and ever-growing fan base.